As you know, Montblanc recently launched a fountain pen and an ink in memory of Albert Einstein. The ink dedicated to Albert Einstein was in grey tones and since Montblanc has already a grey ink Oyster Grey (please click for the review), ink enthusiasts were a bit confused wondering how much this inks were look-alike? 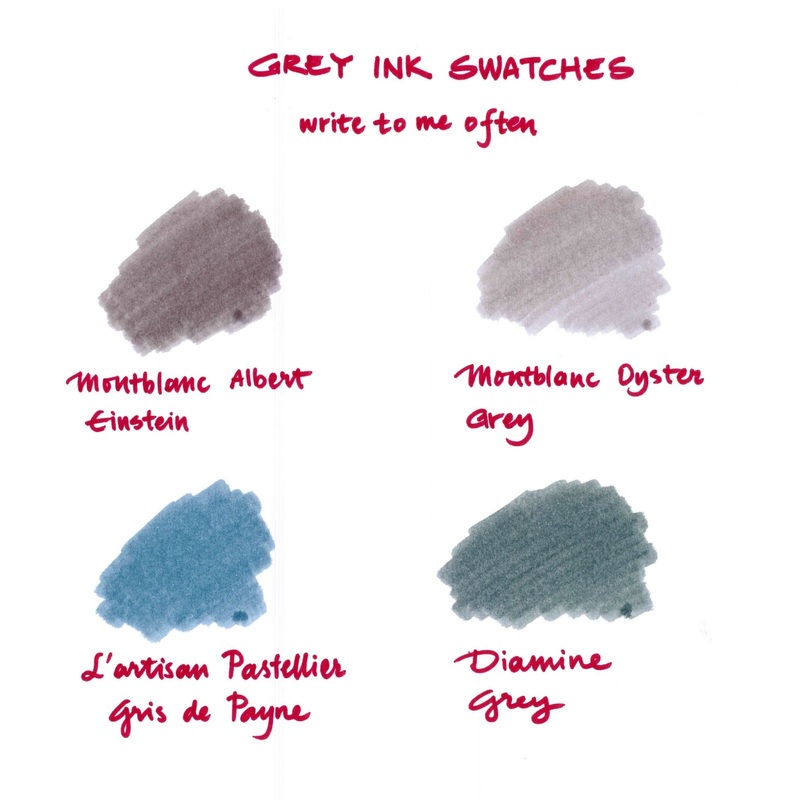 Therefore, when I decided to compare those two inks, I wanted add my other grey inks to the swatch. Seen above, Albert Einstein ink is a bit darker than Oyster Grey while L’artisan Pastellier is much more a blue-grey. And the darkest grey ink is the Diamine Grey among them.